Thursday, July 13: made v3.0.3.56 firmware copy to microSD clearer + a screenshot. 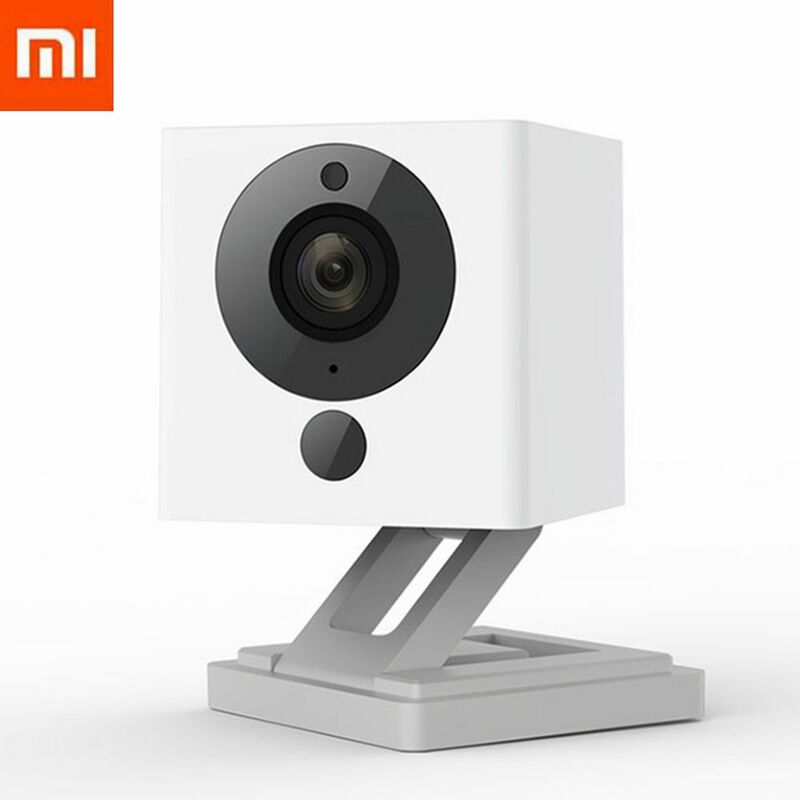 Wednesday, July 12: added app configuration details, added recommendation to disable cloud applications (after changing mode to Wireless Client) since the official MiHome app doesn’t allow you to access the camera from outside your network until XiaoMi decides to fix this. The last good firmware version of the XiaoFang Camera is v3.0.3.56. The last good MiHome app version is v4.0.11. If you’re already on these versions, do not upgrade. Anything newer than the above versions will result in the risk of the camera not being accessible via the MiHome app outside of China. From hereon in, the XiaoFang camera will be referred to as “XF”. Wait for the progress bar to go to ~75%, where it should go up rapidly to 100%. If you see a “Timeout” message please try again. If it’s repeatedly timing out, try unplugging your XF and plugging it in again and start from #7. If no luck, you will perhaps need to downgrade to v3.0.3.56. Skip to the next section. At this point, you can optionally log into your router and assign your XF a static DHCP address so that its IP address remains constant. For Windows we can use a tool called Win32DiskImager. Download this small executable and proceed with these instructions while writing the file fanghacks_v0.2.0.img to the card. Next locate the target disk/card (assume disk2 for this example) and un-mount the disk. Note: If you’re wondering why we’re flashing Fang Hacks even if you might not necessarily use it: it nicely partitions the microSD card for us in order to properly load the v3.0.3.56 in the event we need to downgrade our camera to bypass the georestriction. Once the microSD is flashed with Fang Hacks, extract the XiaoFang v3.0.3.56 firmware to the “mmcblk0p1” folder on the microSD card. You’ll know if you did it correctly if the “cramfs-root” folder is in the same folder as the “bootstrap” folder as shown in the screenshot below. Skip this section if you were able to successfully set up the XF in the Getting Started section and are able to stream from your XF. Continue to hold down the Reset button. Don’t let go when you hear the voice prompts! Only let go when the orange LED light stops blinking. If it still fails (i.e. times out), unplug the XF, plug it back in again, then attempt again. IMPORTANT: only unplug the XF after the orange LED light stops blinking AND you’ve attempted the pairing process at least once. If you unplug it while it is downgrading the firmware, you’ll end up bricking the XF. By now you should be able to view your XF camera via the MiHome app. Feel free to explore the settings in the app to further customize your XF (e.g. motion detection, night vision, etc). You can also confirm whether or not the downgrade was successful by going to your camera and “checking for updates” (but do not upgrade). Note: if your camera is pointing out a window, you will probably want to disable night vision (MiHome => Camera Settings => disable Night Vision). Fang Hacks is a collection of different hacks for the XF, and adds customization and privacy while sacrificing some native features provided by the MiHome app. It’s extremely handy because if you do not want to use the XF with Fang Hacks, simply take out the microSD card and reboot your XF. It will then be accessible via the MiHome app. Otherwise to use Fang Hacks the microSD card will need to be in the slot at all times. implement all fixes/updates to Fang Hacks since the release of v0.2.0. If there is a newer version released you can probably safely skip steps 6 through to 16 below. Occasionally the two chimes won’t go off. In this case, 10 seconds after inserting the microSD, go to http://**yourXFipaddress**/cgi-bin/status to see if you can access it. The page will refresh. NEVER tick “Disable cloud applications” unless you have set the XF to Wireless Client or Hotspot mode. I recommend disabling the 10-telnet, 11-dropbear, 12-ftpd services if you do not use Telnet, SSH and/or FTP, respectively. Doing so will also free up some extra CPU/memory. You can always re-enable them if you need these services. In addition to the above steps, since the MiHome app does not (yet) function properly in that it does not allow you to access the XF outside of your network, I have disabled cloud applications for added privacy by going to http://**yourXFipaddress**/cgi-bin/status, ticking “Disable cloud applications” and clicking on “Apply“. I am able to do this because in the above steps (#17-21), we have set the XF to be a Wireless Client. You cannot do this if on the Network page it is set to “Cloud” (which it is by default). There is some risk to disabling cloud applications (i.e. if your router dies). An alternative to this is to set your router firewall to block WAN (Internet) access for the XF. If you ever need to move your XF to a different WiFi network, remember to go to http://**yourXFipaddress**/cgi-bin/status and untick “Disable cloud applications“, then go to http://**yourXFipaddress**/cgi-bin/network and tick “Cloud” and click on apply. Once set up on the new WiFi network and the XF is set to Wireless Client or Hotspot mode, you can disable cloud services again. Therefore it’s required to first configure the wifi: “Wireless client” or “Access-point” mode on the network page (NETWORK_MODE=1|2). Note that you will be locked out of the device if the wifi connection fails after a reboot. In case of wireless-client mode, you must first connect to the network (and re-open the network page in case the device changes IP address) before the settings can be applied. Once applied, the “Disable Cloud” checkbox on the status page will become available. But, please make sure your wifi settings work by rebooting a couple of times! If you run into issues you can simply remove the sdcard and reboot: the cloud apps are still enabled and without sdcard the network script is not present so will not override wifi configuration. Once you’re happy, you can check the “Disable cloud” checkbox to prevent cloud apps from starting (DISABLE_CLOUD=1). If for some reason things don’t work out for you, there’s a simply recovery method: in the bootstrap folder rename fang_hacks_rescue.cfg.tmpl to fang_hacks_rescue.cfg. This file is copied on boot and restores the default settings. So you need to reboot twice: first to copy the file, then a fresh reboot to use the restored settings. Note that in both “Wireless Client” and “Access-point” modes, the config files reside on the sdcard (wpa_supplicant.conf, hostapd.conf, udhcpd.conf in etc folder of data partition) so they can be edited offline. In case you’re not able to access ext2 partitions, there’re tmpl files for these configs in the bootstrap folder as well: modify as required and remove the tmpl suffix to have them copied when the device boots. With your XF using Fang Hack, you can connect to it over RTSP. 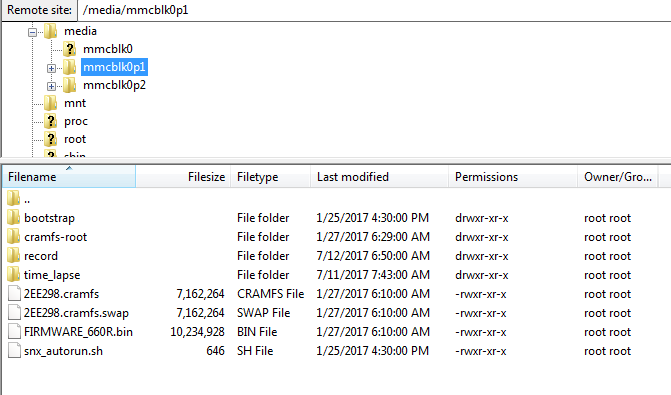 You can look for any apps/programs that support this protocol, such as Tinycam or Contacam. You can also look into setting up VPN on your network so you can access your XF when you’re not at home. Out of the above list, I am using tinyCam on my Android device and iSpy on my laptop.